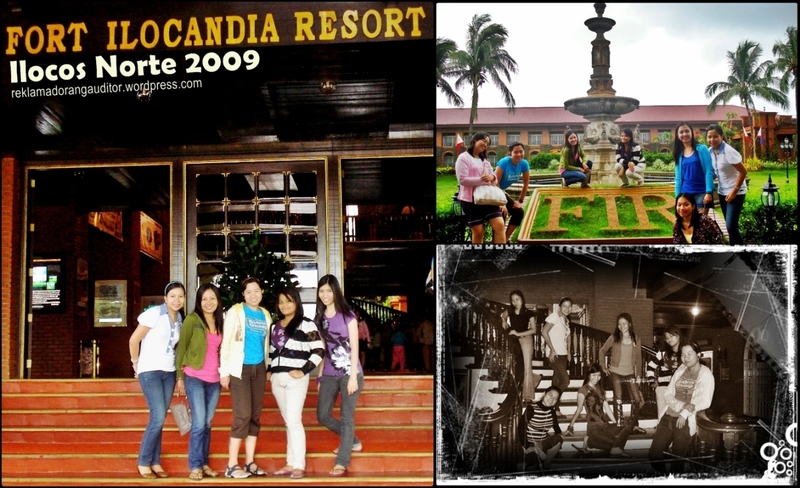 Fort Ilocandia Resort Hotel is a 4 star hotel situated in Barrio Calayab, Laoag City, Ilocos Norte, Philippines. It is a 10-minute drive from Laoag International Airport. The resort has 267 rooms with private balconies offering a view of the sea and possessing the features and qualities of Ilocano century-old living quarters and constructed to accentuate the antiquity of a colonial house. It was raining so hard during our trip to Pagudpud, kaya di kame mashado nakapagpikchur ng maayus-ayus. Then during the time that we visited Cape Bojeador, the door to the top of the lighthouse was closed, so hanggang hagdan na lang ang pagpipikchur namin! hehehe! Marami pang pix, like overlooking the sea from the lighthouse pero di ko na kase mahanap ang ibang mga pictures, binura ko na ata yung iba! haha! The Cape Bojeador Lighthouse, also known as the Burgos Lighthouse in Burgos is another important landmark in Ilocos Norte much like the Sta. Monica Parish Church in Sarrat, with both being centuries old. The lighthouse was constructed during the Spanish colonial period in the country. Sarap mag-swimming sa beach na ‘to!!! 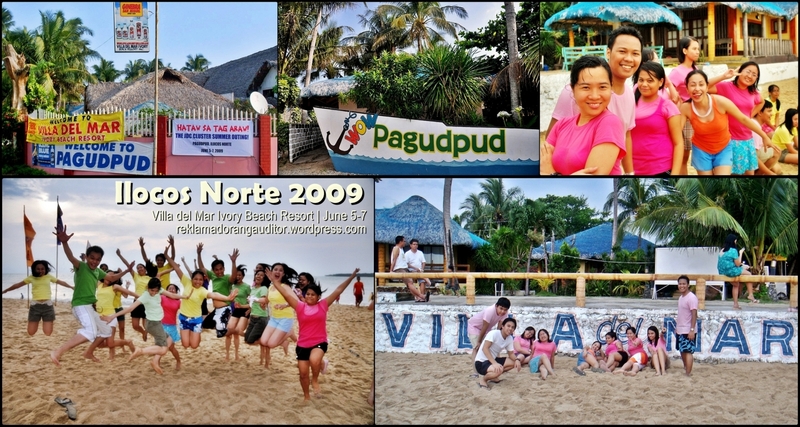 :D Dito rin kame nag-banana boat ride (my first time! ahaha! ), sarap!! We requested though na ‘wag kaming ihulog habang nasa banana boat, mahirap kaya akyatin ulit ‘pag nalaglag! hahaha! kaya kapit to the max para hindi malaglag! :p I love the aquamarine color of the water, nung nasa malalim na kame, sarap tumalon, pero takot ako! haha! Daming options sa beach na ‘to: pwede din mag-kayak. Others opted for the banca-ride going to another island–sayang! ba’t ko ba pinalampas yung pagkakataong yun! tsk! Maira-ira point is the name given to Luzon mainland’s northernmost tip. Nestled in its confines is an unspoiled, white-sand cove that has yet to become popular with the mainstream beach-combing crowd. The beach is known simply as Maira-ira or blue lagoon. On calm days, when the notorious Ilocos surf is taking a break, the waters off the cove can be still as a pond, mirroring the azure sky to form a stunning blue loch. 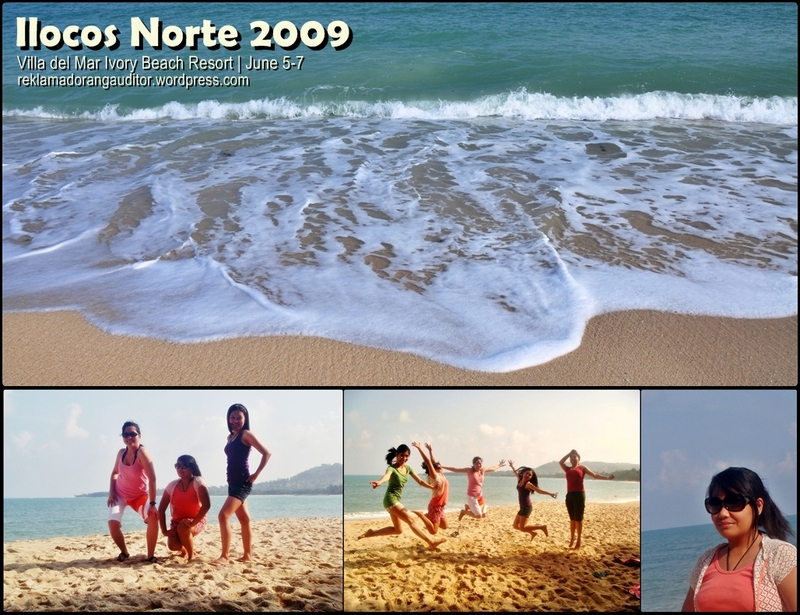 The sparkling fine sand is even better than its well-known neighbor, Saud beach (or Pagudpud). With virtually no tourist accommodations, save for a couple of simple nipa huts, the whole place exudes a charm of isolation. Hemmed by hills around its perimeter, swimming and basking on the crescent cove can be a very private experience. It is a serene place, lending much to the feeling of being at the frontier. They call this a cave but it is more of a mountain with a hole. Bantay Abot Cave is just a few minutes away from Blue Lagoon and it is a worthy stop-over when you head to the beach. The cave has a lustrous vegetative cover on top and a door-like opening on the middle of the mountain. Inside the cave, you can hear the waves as they splash on the rocks of the mountain. 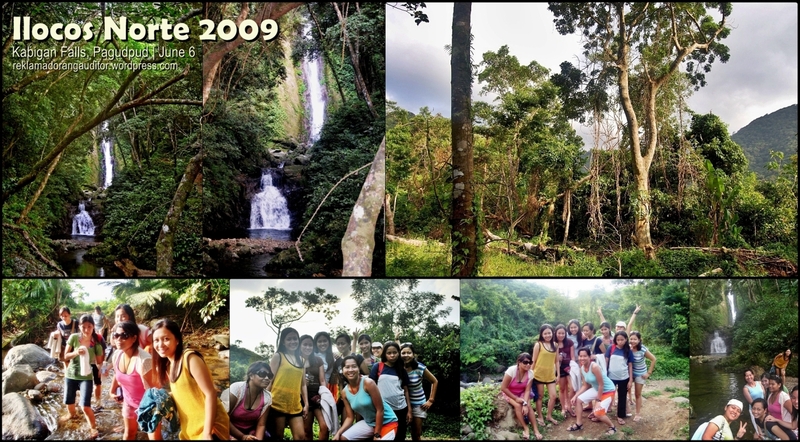 We hiked for about 30 minutes to from the entrance going to the falls, kasama na picture-taking dun! hehehe! Pinalagpas ko na naman ang pagkakataong maligo sa falls, kase nahahassle-lan ako sa pagpapalit ng damit; sabi kase bawal sumakay sa bus pag basa! Yun pala, pwede naman, basta wag lang umupo! ehehe! tsk! Kabigan Falls is an enchanting falls located at the eastern part of Barangay Balaoi and it is around 1.8 kilometers away from the national highway. This 80 feet waterfall is surrounded by thick forest and well-known for its concaved basin. First stop on our way back to Manila! Paoay church is prime example of Earthquake Baroque architecture, which is the Philippine interpretation of the European Baroque adapted to the seismic condition of the country. Destructive earthquakes are common and have destroyed earlier churches all throughout the country. Aside from Baroque, the church facade also exudes Javanese architecture reminiscent of Borobudur of Java. The Marcos Museum and Mausoleum integrates both memorabilia storage and the current resting place of Ferdinand Edralin Marcos. It is situated in the heart of Batac City, Ilocos Norte. The museum shows memorabilia of the late president, from his stint in the armed forces down to his presidency. The large and solemn mausoleum contains the glass-encased coffin in which Marcos’ embalmed body has been on public display since shortly after his remains were brought home in 1993. 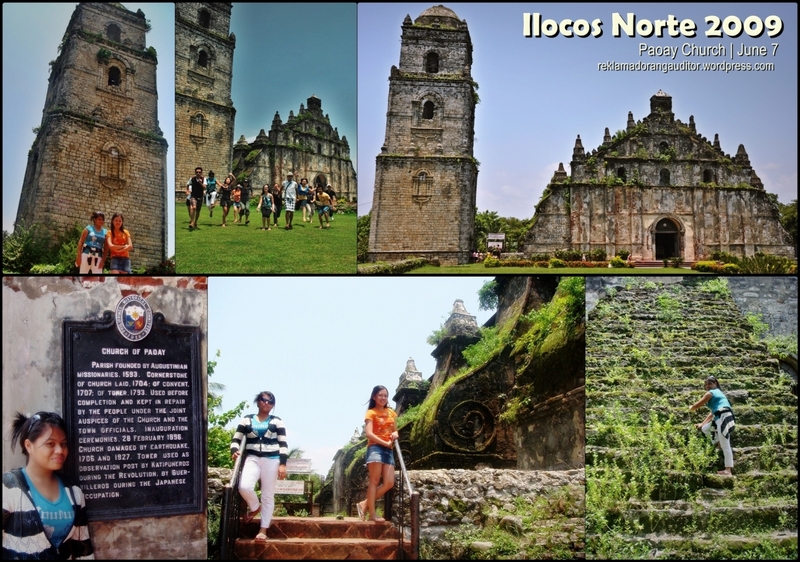 There are still a lot to see in Ilocos that were not included in our trip’s itinerary. On our way back to Manila, we could have made a stop in Bangui to see the Bangui Windmills, pero ewan, wala ng energy ang mga pips hahaha! sobrang hangover kase sa i-session the night before. Kahit ako man, sobrang sama ng pakiramdam ko sa buong byahe: yung feeling na nasusuka pero walang lumalabas! yung tipong bawat dighay mo, lasang vodka! ehehe! Dun ko unang isinumpa ang vodka! hahaha! 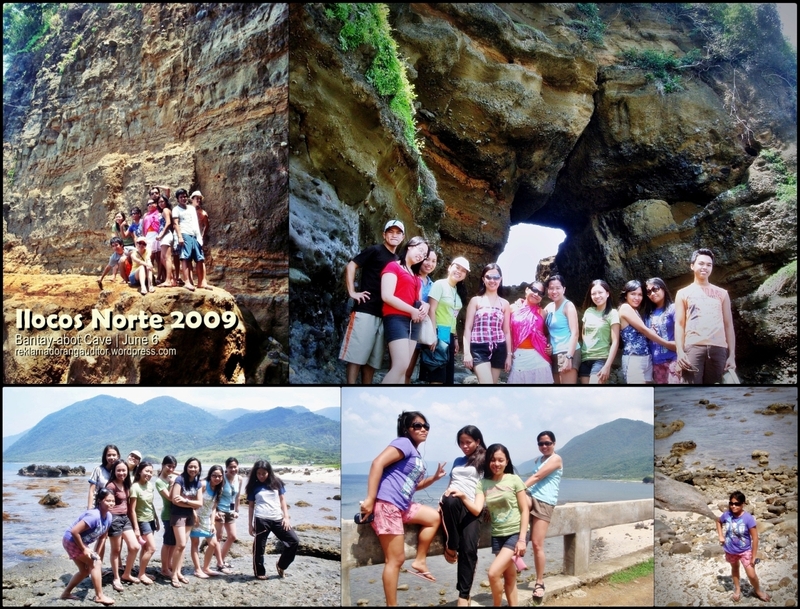 Kapurpurawan Rock Formation in Burgos, Ilocos Norte – Read this post from Ironwulf! 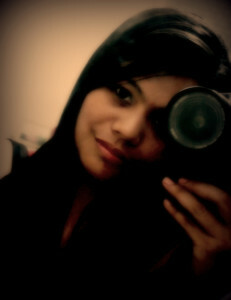 :) hahay!